We spent countless hours fiquring out where the S197 Mustangs could benefit most from chassis stiffening. Here is the end result. 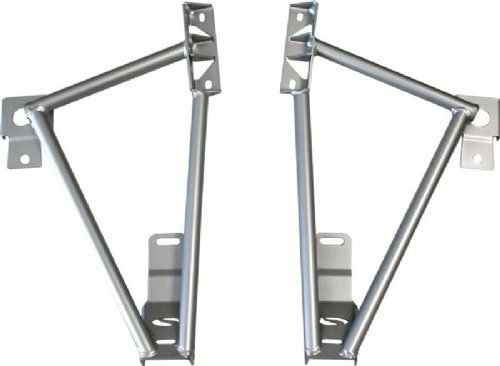 Steeda's 3-point torque box and frame rail braces are made from 4130 Chrome Moly material. This material is twice as strong as mild steel. These braces are specifically designed for the S197 Mustang. They tie together the inner/outer frame rails and the rear lower control arm mount. Our braces are silver powdercoated and come with mounting hardware. Can be bolted with supplied hardware but a welded installation is recommeded for maximum benefit from these braces.